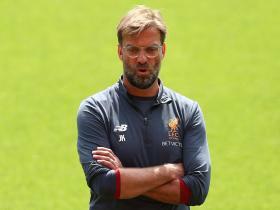 Jurgen Klopp has opened up on what first drove him to take on the Liverpool job as he prepares for his side’s Champions League final against Real Madrid on Saturday. Klopp became Liverpool’s manager in October 2015, agreeing a three-year deal to replace former boss Brendan Rodgers. The German had been on sabbatical prior to his appointment, after leaving Bundesliga giants Borussia Dortmund, but cut short his break once Liverpool came calling. Klopp was approached by a number of clubs after parting ways with Dortmund, including Manchester United before the appointment of David Moyes as Sir Alex Ferguson’s replacement, but the German eventually settled for Liverpool. Speaking ahead of Saturday’s final in Kiev, Klopp said it was the club’s history and culture which drew him to Anfield. “I love the history”’ Klopp told the Daily Mirror. “I really am a football romantic. I knew I probably can help. They maybe really need me, in this time. I know what I’m good at. Klopp added that the club’s willingness to accept him as an individual, in spite of his eccentric idiosyncrasies, was another influencing factor in his decision to join Liverpool. “When you see the pictures – and I realise it as well, by the way – I look still like a player… that’s not cool, but that’s me,” he said. “I go in with a baseball cap and they still respect me, I don’t have to act in a specific way. “They took me like I am, they didn’t ask me to do anything else, so I could focus from the first day completely on football. “It is a football club. A FOOTBALL club.